Here's something interesting and semi-related. It's regarding actual swarm intelligence: a swarm of bees. The page includes a great 9 minute video where a guy with a soothing voice makes me very anxious as bees fly about him. As the link hints, it's regarding how they make the decision of where to build their hive. Apparently a small subset of the swarm (the scouts) gain relevant knowledge over the course of hours or days (flying about, searching for potential sites up to several kilometres away), and then "debate" and vote amongst themselves to decide the winning location. Despite them not being especially intelligent animals, the decision-making process results in them making the best choice an estimated 80-90% of the time. Per the video, the presenter draws parallels with our own political elections. There are people who are actively campaigning that we learn from our friend the honeybee and change our election decision-making process to lead to better results. They reckon the bees do it better than we humans! To highlight how well, or poorly, a system works, one measure researchers use is the 'Condorcet Ratio'. A 'Condorcet winner' is the candidate in an election who would win a head-to-head vote count against every other candidate. Obviously, in your voting system you'd want this Condorcet winner to be the winner of the election - this doesn't always occur. The Condorcet Ratio is the fraction of elections with Condorcet winners in which a voting system actually selects the Condorcet winner. If you have an awesome voting system, the ratio equals 1. The fraction depends on the number of candidates and the number of voters. They can run Monte Carlo Simulations for different sizes and determine the Ratio for different systems. Voting, also known as Alternative Voting, and it is an iterative process. In each round, we first check if any candidate has a majority of the first place votes. If so, that candidate is selected as the winner. Otherwise, the last place candidate (that is, the candidate with the fewest number of first place votes) is eliminated, and removed from all ballots. Thus, any voter who selected the losing candidate as their first preference now has a different first preference. This process is iterated until some candidate gains a majority of first place votes. Determined from 15000 simulated elections, for a 6 candidate ballotsheet, and comprising 1001 voters, the Condorcet Ratio for the voting system we elect our rulers by, is only 0.736! That is, over a quarter of the time that there's a candidate that beats every other candidate head-to-head, they don't win! Bees give their "score" of a potential hive location's suitability by the length of time they persist with their "waggle dance" (the code that tells other scouts where it is so that they can check it out and win them over to their selection). Now for the interesting part(?). There's another kind of voting system called Single Vote Plurality. In this system, each voter selects a single candidate to vote for. The votes are tallied, and the candidate with the largest number of total votes is then the winner. If a ranking of candidates is desired, we simply order them based on number of votes received, from highest to lowest. Replace voters with punters, votes with bets and candidates with horses, and you get the betting market. The winner of a race is the horse that wins a head-to-head contest against all the other horses in the race. That sounds a bit like our pal the Condorcet Ratio could come in handy. Under the same conditions as above, a Single Vote Plurality system has a Condorcet Ratio of 0.506. The winning strike rate for favourites in a 6-horse race is 41.4% (all Australian tracks over a 4.5 year period, according to a google result). I suspect the disparity in figures (if they are related at all) isn't due to one single factor present in racing that's not present in voting but a whole list: inequal bet sizes from punters, not a secret ballot (anchoring effect), jockey error, run misfortune, injury, poor fitness, bad tactics, etc. But that's not really my point. My point is that the set of individual opinions can lead to more accurate/favoured results depending on how the votes are lodged. The preferential voting system we are familiar with "picks the right horse" in an election (when there is a right horse) nearly 20% more often than the system that appears most similar to the betting market. And to bring it all back around, Preferential voting is essentially what you're doing when using the UNU swarm intelligence tool. (NB - there's a bunch of other voting systems and a lot, most even?, have better Condorcet Ratios than all of the above. Perhaps there is a golden way to combine human opinion - or ratings - hidden here in Barry Wright's "Objective Measures of Preferential Ballot Voting Systems": http://www.rangevoting.org/Wright_Barry.pdf). I want to thank all who contributed to this thread especially walkermac. This has been the most interesting conversation I have read on a horse racing forum in a very long time. I get what you are saying on a small expert group will (ahead of time) likely pick the right horses. My comment on the odds being a swarm are in relation to the tote which changes odds as dollars come into it. It can't be used for early betting but it does use the same approach as a swarm to end up with very accurate predictions for the final odds. It works because every successive punter putting money onto the tote can see the current odds and their money will affect the odds in some small way. In the end if they think its too high they will put money on a horse and drop its odds, if its too short they will not bet or put money elsewhere. Cheers UB. I'm having fun learning and researching. The figures aren't really related, just quite similar to each other (and that similarity continues for races of differing size). There's a slight difference between winning an election (to become market favourite) and a horse actually winning the race. ...though if you account for the Wisdom of Crowds, then perhaps it's well on the way to doing so. The point I was making was, the market price is a very reasonable estimate of a horse's chances. The market favourite though is determined via a vote of sorts, and there are other voting methods which can better convey the market's "true" sentiment (i.e. satisfy more participants that the "correct" favourite has been selected). Clearly a punter doesn't express their ordered preference of the field when lodging a bet, so you can't hope to reverse engineer the existing markets, but perhaps these systems could be utilised when otherwise combining opinions, methods, ratings, etc, for more accurate results. I think this may be one of the keys to the success of swarm intelligence in many applications. Another correction: the betting market is probably even closer aligned to Range/Bee Voting than Single Vote Plurality. Range voting is a system in which the voter gives all (or some maximum number of) candidates a score on a predetermined scale (e.g. from 1 to 5, or from 0 to 99). The winner of the election would be the candidate with the highest average score. You can obviously bet on more than one horse, and swap "a voter gives a score" to "a punter bets some money", in the definition. The only bit where it strays is in the notion of a predetermined scale. Bettors will vote to their bank/personal comfort levels. There are voting systems with a Condorcent Ratio of 1 though, so it could be improved upon even further. I tried looking for figures regarding the number of bettors on the totes, but they tended to just list betting turnover rather than participants. Going on some (dated) data regarding average bet size along with the actual pool sizes, I'd estimate that maybe 3500 people are investing with tatts on weekday races and perhaps 30000 on the big weekend races. As can be seen in the table, for a 5% margin of error, an upper limit is quickly hit on the number of responses necessary, before adding any more does not improve confidence. Lonergan Poll performed the worst and I have no data regarding their methodology. For the others, though their methods were different (face-to-face, online, televoting, collating several weeks of interviews vs all in one day, etc), they only polled a maximum of 3400 people to get these results - and they're pretty close. (Bold figures indicate the estimates were within 1% of the final figures). If you were to plug some of this data into a sample size calculator (http://www.surveysystem.com/sscalc.htm), you'd see that to have 95% confidence that the estimate was within +/- 2% of the actual value, you'd have to sample 2401 people to model the entire Australian voting population. ....which is only 178 more people than is necessary to have the same confidence about predictions of the 30000 people betting on the Doomben Cup (with tatts). Which seems like a lot. Perhaps 30000 people aren't necessary to form a market. Like with sample size, adding more and more participants doesn't make the price estimate more and more accurate. Eventually an upper limit will be hit. The Queensland tote usually has the smallest pool after all, and it seems to perform reasonably well against the NSW tote, Vic tote and Betfair, let alone during the week when its holding even less cash (and participants). The closest z-score for 0.475 is 1.96. •E (margin of error): Divide the given width by 2. •qhat : subtract phat from 1. Step 2: Multiply phat by qhat. Set this number aside for a moment. Step 3: Divide Za/2 by E.
What does this mean? If you're using price data to rank past performance, or are including current pool data in your ratings, or are using the tote to calculate staking, ensure there are enough participants in the pool to reflect the true(r) odds. So back to our 19 participants. If they were each just picking the winner they would have no chance of accurately forming a market. They do have a couple of things in their favour, however. 1: they're selecting the rank order of horse winning preference, not actual likelihoods. 2: they're using a form of preferential voting which packs in more information. Unlike the simplistic market described above, they're not just making one vote (regarding the horse that will win). Each participant is saying that horse A will beat horses B->N, and horse B will beat horses C->N, and so on. "The availability of rank ordered choice set data leads to an 'explosion' or decomposition procedure for exploiting such extra information" (from my next reading material). For Sandown/Lakeside today the herald sun formguide lists 5 tipsters each giving their first 4 selections in order. The web site lists 6 tipsters (3 of which are different to the formguide tipsters) also giving their first 4 selections in order. From my count that's 8 different tipsters all selecting their 1st to 4th selections for the same meeting. Collating their picks to reflect the finishing order can then be undertaken. While you say these may all be independent picks I would say that maybe one or two (or more) may chat among themselves about the races which may influence some of the picks. In any event, they are not just trying to tip the winner but are listing the hoses in finishing order as per your Kentucky swarm. It's missing real-time consensus and information regarding strength of conviction to make it comparable to a swarm. It's more akin to the pre-swarm research performed by the participants in the Kentucky Derby swarm, only we're seeing their shortlist. More generally: each participant's initial ranked opinion before being influenced by/influencing those others amongst the group by contemplating the strength of belief. From the first table it looks like Coram is the clear top pick. ...but only because we've added a blanket weighting to all tipsters' preferences. Why choose these weights? 'Cause it's easy; but easy doesn't equal accurate. In actuality the tipsters would have all sorts of weightings based on their individual strength of conviction. Maybe Darryl Timms thinks Coram is a dead certainty and only puts in his three other tips 'cause that's how many his editor wants. Perhaps Matthew Stewart thinks it's a coinflip between Coram and Raposo, but given Darryl's surety, figures he must be privy to some extra information - perhaps regarding fitness or tactics - and that's enough to sway his opinon. Maybe Ray Hickson knows the fix is in for Reigning Meteor and the rest are just wasting their time. Whatever they think, we have absolutely no idea regarding it. And they likely have just as little until they're thrown into a swarm and forced to consider their strength of conviction vs others' in real-time. The second table shows the first round of true preferential voting (which we've discovered is pretty good for determining the Condorcet Winner - a group's "ideal" selection - when there is one. Raposo gets two first preference choices and the other four share one first preference vote each. Which choice is omitted from this round before considering that tipster's second preference? Is it the tipster who is least confident in their first preference? We don't have this information. 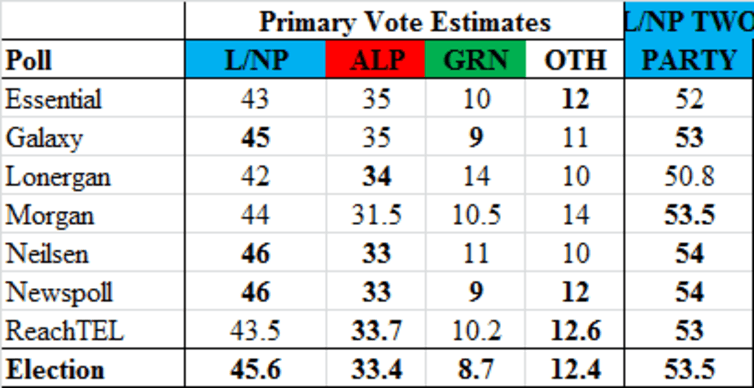 Does the tipster whose highest subsequent preference match the current "leader" (only 1 point ahead!) change their preference? If so, then Coram (the clear leader with our imaginary weights), loses it's sole first preference voter who instead plumps for Raposo. If we have no idea regarding the tipster's strength of conviction we need a whole lot more tipsters expressing their opinion. Even then we might not end up with a sensible, rational result. There's something called Arrow's Impossibility Theorem (from a work which earned the author a Nobel Prize; but only in economics, so it doesn't count for much....). - If every voter prefers alternative X over alternative Y, then the group prefers X over Y. - If every voter's preference between X and Y remains unchanged, then the group's preference between X and Y will also remain unchanged (even if voters' preferences between other pairs like X and Z, Y and Z, or Z and W change). - There is no "dictator": no single voter possesses the power to always determine the group's preference. The tips are rank-ordered and fall over on the criteria above. Even if we used our naiive scoring system (presuming that each preference was equidistant from the next) and approached something similar to range voting, the results wouldn't be flash hot. For 13 tipsters (the figures available), tipping a 20-horse race (Race 5, before scratchings). There would be a Condorcet winner 36% of the time, that our range voting system would agree with 79% of the time. So 28% of the time there would be a horse that the tipsters believe will beat ever other horse in pair-wise competition, and that the method would actually find. I expect that in this instance the odds would be less than $3.50! There was another swarm that selected runners for the Preakness Stakes. This wasn't run by UNU, but via magazine staff (the same TechRepublic that challenged UNU with the Kentucky Derby), using UNU as a tool. Of interest this time is that in examining the results, "after running multiple swarms, considering the even field of horses and the forecast for heavy rain, UNU reported to TechRepublic there was too much variability to make a confident Superfecta pick this time. Even on the question of who would win, UNU reported a 32% chance that Exaggerator would upset. And beyond those two horses, UNU reported that Cherry Wine, Uncle Lino, and Collected were strong contenders to fill out the Trifecta". Per this graph from their blog (regarding another - dumber - question), they are able to track preferences as they change. The time taken and the size and number of any remaining competing factions likely inform their level of confidence in the prediction. When they have determined they reached consensus is interesting. Per the graph it's once a faction has reached a certain size. Here, approximately 35 voters. In a single transferrable vote election (i.e. one with preferential voting) there is a formula used to determine the minimum number of attained votes necessary to become elected. (Presumably the mathematical limit after which it's useless to keep shuffling votes from eliminated candidates to remaining ones, as any challengers will not be able to acquire enough votes to topple the leading candidate). In a swarm, it would be "total votes" = number of participants in the swarm, and "seats to fill" = number of choices to determine (i.e. 1). Plugging in the data for the 63 users in the swarm, we get our Droop quota = 32.5 (i.e. 33 votes). Very close to the graph and perhaps they added leeway due to how users interract with the "poll". That is, instead of casting a static vote; the votes are read continuously as participants move their mouse - which may briefly sweep by other choices as they move to their new, preferred choice. Another observation from the voting world: you'll note in the video that the first 5 horses to be removed from consideration were either the topmost choice, or the top-left choice. Most webpages are viewed in an 'F shape'. An initial horizontal scan along the top, followed by a lower and shorter horizontal scan, then a scan down the left margin. If swarm participants don't already have a strong, ordered preference that they maintain (at least initially) then there might be a bias towards the top-left. ...unless the "ballot paper" changes. In Tasmania and the ACT they have Robson Rotation on their ballot papers. Instead of candidates occupying the same position on every ballot, they actually print them in equal batches with the candidates in differing order. That way, no one candidate is the beneficiary of donkey votes: those where the voter has just written 1, 2, 3, 4, down the page. In the instance of the swarm you have engaged participants, but the order of omission from consideration can still have effect. Looks like someone on "another forum" is experimenting with experienced horse players and swarms. "This is a genuine experiment based around a new technology that uses real-time collective decision making and produces more accurate predictions than one expert individual alone does"
"There isn't a great deal involved.. you just need an hour free between 10am-11am each Sat morning to play an interactive game on a website with the rest of the participants in real time. This can be done from home so you don't have to go anywhere." Apparently they've already done one Saturday and made a profit. I'm not likely to make the time so am unable to participate. Per his post, the guy is still looking for a couple more people to be involved if anyone's keen to give it a try. Reddit is "the front page of the internet", a hugely popular discussion site which occasionally hosts people - sometimes quite famous - of whom you can 'Ask Me Anything'. This was advertised as the first time a 'hive mind' would be available to answer questions about the US election. There was quite alot of related discussion about the tool itself however, and some of the comments were quite interesting. • http://freakonomics.com/podcast/how...-radio-podcast/ was a link I knew I'd visited before and wanted to post earlier on in this thread, but couldn't remember for the life of me where I'd stumbled across it. Freakonomics was an incredible book that came out a few years ago which spawned a sequel and TV series, along with this podcast (also available as a transcript). This is a great episode about predictions and superforecasters. "The inspiration for this traces back to Condorcet's Jury theorem or the work of Francis Galton. Condorcet used some very basic math to show that if everyone has a slightly better than 50% chance of being right about some binary decision, then a group of mediocre individuals is much more accurate than even a single very good decision maker (e.g. one that is 90% accurate)". And that reading material was so dull, it put paid to this thread for a few months. Don't read "Exploiting Rank Ordered Choice Set Data within the Stochastic Utility Model" and drive. The paper shows that you can expand a ranked ordered choice set into statistically independent choice observations; another way of saying what I wrote above in Point 2. The paper was concerned with consumer choice models in marketing. They assumed a consumer would make a choice that would maximise their utility (i.e. be their preference above all other options at the time of choice) and came from a homogeneous population (i.e. all consumers in the survey were selecting the meal they would purchase to eat, rather than some of them choosing the meal that had the most calories - for example). These assumptions sound like it aligns quite well with tipsters picking horses (in descending order from likeliest to least likely). One other which may not fit as soundly: that equal thought is given to alternatives at all ranks (i.e. a consumer doesn't get to the bottom of possible options and starts choosing randomly because they feel it doesn't matter). So, per this paper, a full ranking of J choices in order of preference by 1 person, is equivalent to hearing from (J-1) people. Consider the automobile choice process in which a decision maker is observed to rank order his or her choice set in the following manner: Pinto is preferred to Chevette preferred to Omni preferred to Pacer (here, J = 4). Invoking the explosion rule, one can form three choice sets: [Pinto preferred to Chevette, Omni, and Pacer], [Chevette preferred to Omni and Pacer] and [Omni preferred to Pacer] (here, J = 4 -1 = 3 sets). Because these three exploded (decomposed) rank ordered choice sets are statistically independent, they can be thought of as equivalently being obtained from independent decision makers. Thus, the explosion process applied to preference rank ordered choice set data results in additional choice observations for analysis. Relating this back to the Kentucky Derby Swarm, if there were 19 participants and each of them had a rank ordered preference for the 19 horses, it's equivalent to receiving the opinion of 19 * 18 = 342 people. In this instance though, given the design of this particular swarm - where participants were first asked if a horse would finish top 4, before finalising the qualifying horse's order - it doesn't satisfy the assumption that equal thought was given to all ranks. It's likely equivalent to somewhat less people. It needn't be a fully ranked set of preferences for us to explode though. The number of independent choice sets = minimum of (number of preferences given - 1, total number of choices available - 1), summed for each consumer. For The Ocho's "8 different tipsters all selecting their 1st to 4th selections" that would be 8 * 3 = 24 statistally independent choice sets (aka opinions) per race. (Also equivalent to two people's fully rank ordered preferences, if there were a 13-horse field). The maths that continues beyond this point in the paper is beyond my level of casual readership, but they did have a noteworthy example (though I'm not sure whether the conclusions they drew were only unique to this situation). They had created 100 choice sets each with five ranked alternatives. They could explode this to 400 observations. In analysing the data, they could determine that the original data would only be as accurate in describing the underlying choice model as the exploded version, if the number of ranked alternatives was increased from five to about 100. Think about that the next time you write a questionaire, i.e how upset the respondents would be deciding between their 97th and 98th preference. Later on the paper says there's never a good reason to explode beyond level 3 as there's only incremental improvements to accuracy, whereas there's greater opportunity for 'noisy' choice sets to be introduced (i.e. sets where the respondent coin flips between their 97th and 98th preference...). Not sure what conclusions to draw from all of this. I more or less wanted to close off that line of inquiry before I noted something else I had stumbled across.